Mr Trump made a brief visit to the rotunda, where the public can visit the coffin until the funeral on Wednesday. 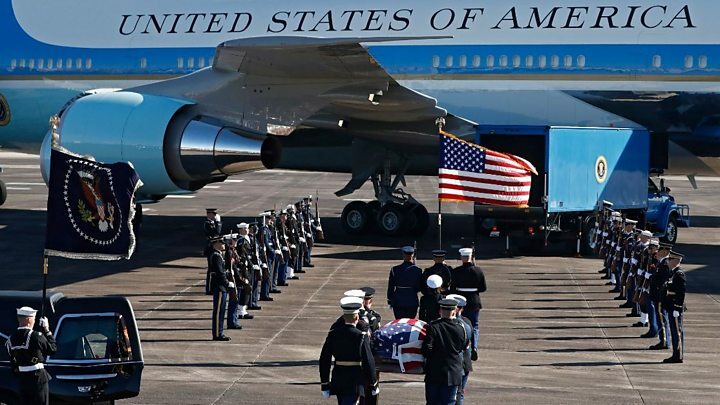 Mr Trump has in the past clashed with the Bush family but will attend the funeral service. 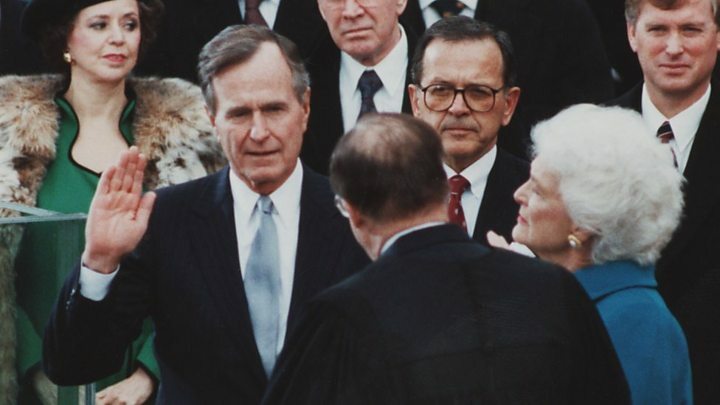 Mr Bush, who died on Friday aged 94, will later be buried at his Texas home alongside his wife, Barbara. Mr Bush, who served as the 41st US president between 1989 and 1993, had been receiving treatment for a form of Parkinson’s disease and had been admitted to hospital with a blood infection in April. Mr Trump will attend with Melania but will not deliver a speech. According to a book that came out last year, Mr Bush voted for Mr Trump’s opponent Hillary Clinton in the election and had called Mr Trump a “blowhard”. His son, former President George W Bush, worried he would be the “last Republican president”, despite Mr Trump running on the Republican ticket, the book said. 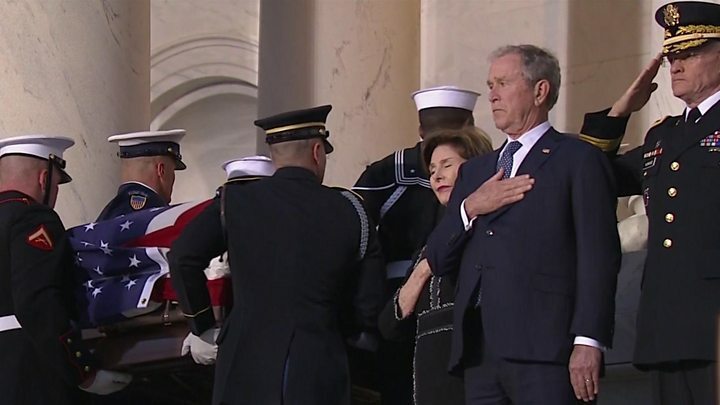 A service was held in the rotunda after Mr Bush’s coffin arrived on Monday afternoon, with members of the military serving as pallbearers. George Bush Jr was in attendance and was clearly moved by the events.